The rugged STI Prep/Master Grinder now has a remote-control ride-on version…introducing the new 3030-RC and 4430-RC P/M machines! Built with the same precise rotary grinding technology and powerful engines as the standard P/M machines, the electric RCs grind and polish with amazing ease and strength, as well as use cutting-edge robotics. Both RC machines will last a lifetime due to STI’s high quality P/M rotary design gearbox, cast iron 25HP motor and all steel frame. 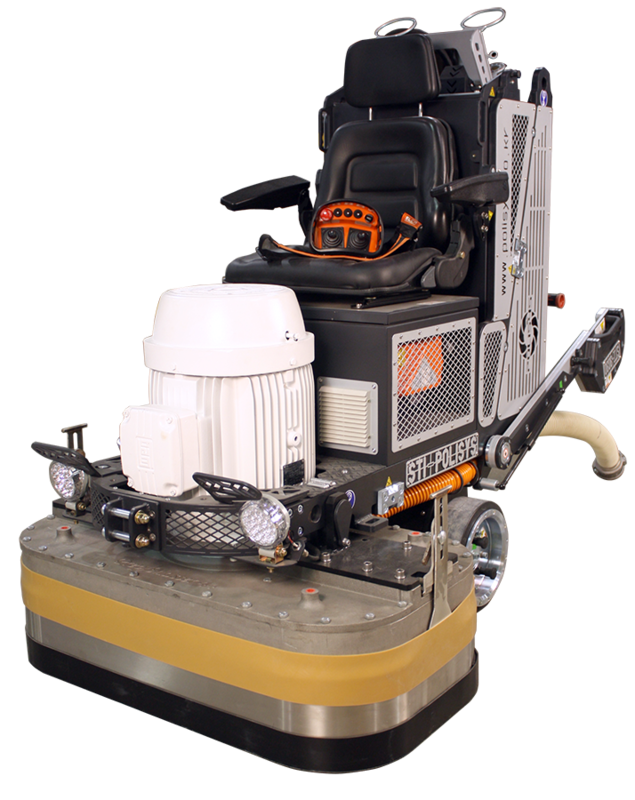 The remote-control and ride-on features allow the operator to easily grind and polish with little effort, making operator fatigue practically non-existent. The uniquely designed “shock absorbent weight system” also helps to alleviate operator stress and possible injury. 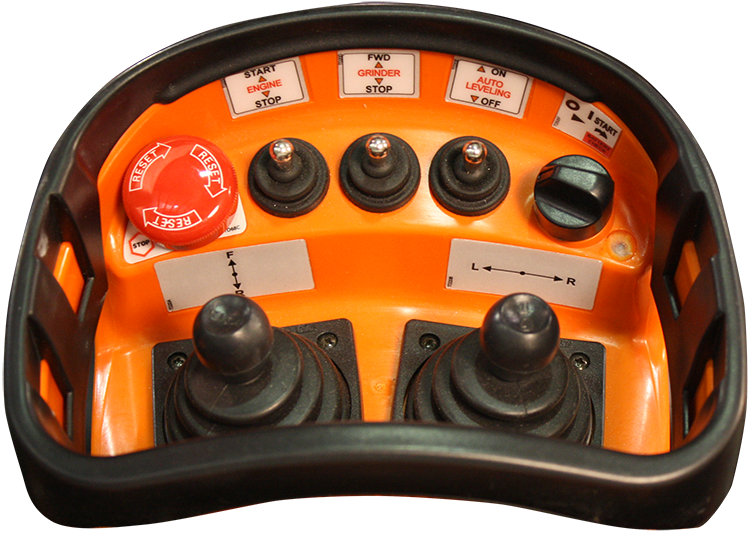 The remote-control is very simple to operate. Without interrupting grinding, the operator can handle smaller tasks of a phone call or adjusting the dust collector while keeping to the overall project. This doubles capacity to handle the job effectively and efficiently. Also, built into the P/M remote-control is the standard STI “S-curve motion” that is critical to the grinding and polishing process. The S-curve motion produces the flattest possible floor, while accomplishing the greatest coverage of the floor. These machines also have an adjustable handle for manual operation. Additional exciting features include an on-board 12V battery charger for accessories, such as a cell phone, as well as LED headlights that properly light darker areas. Never hit a drain cover or obstacle again! 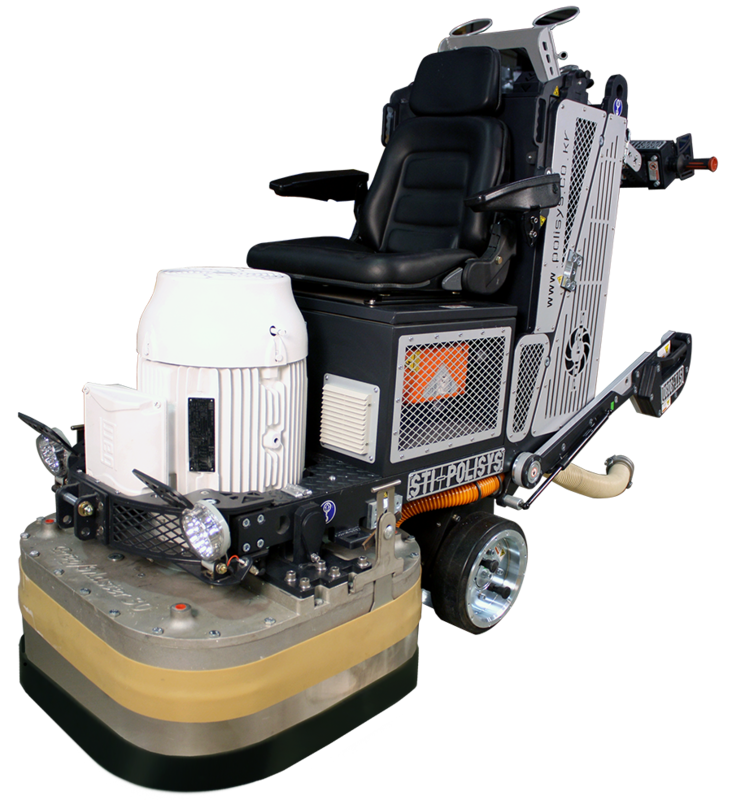 The remote-control P/M machines are available in two sizes: a 30-inch grinding width for handling projects 10,000 SF (929 M2) or over, as well as a 44-inch width for handling projects 20,000 SF (1,858 M2) and over. Also, available in 240V 3 Phase or 480V. Contact us today to find out more about the new P/M RC Grinders.